Microsoft has revealed that the new preview series of confidential computing virtual machines, the DC-Series, which went into public preview overnight are based on Generation 2 (Gen 2) Hyper-V virtual machines. This is the first time that a non-Generation 1 (Gen 1) VM has been available in Azure. Note that ASR allows you to migrate/replicate Generation 2 machines into Azure by converting them into Generation 1 at the time of failover. These confidential compute VMs use hardware features of the Intel chipset to provide secure enclaves to isolate the processing of sensitive data. The creation process for a DC-Series is a little different than usual – you have to look for Confidential Compute VM Deployment in the Marketplace and then you work through a (legacy blade-based) customised deployment that is not as complete as a normal virtual machine deployment. In the end a machine appears. 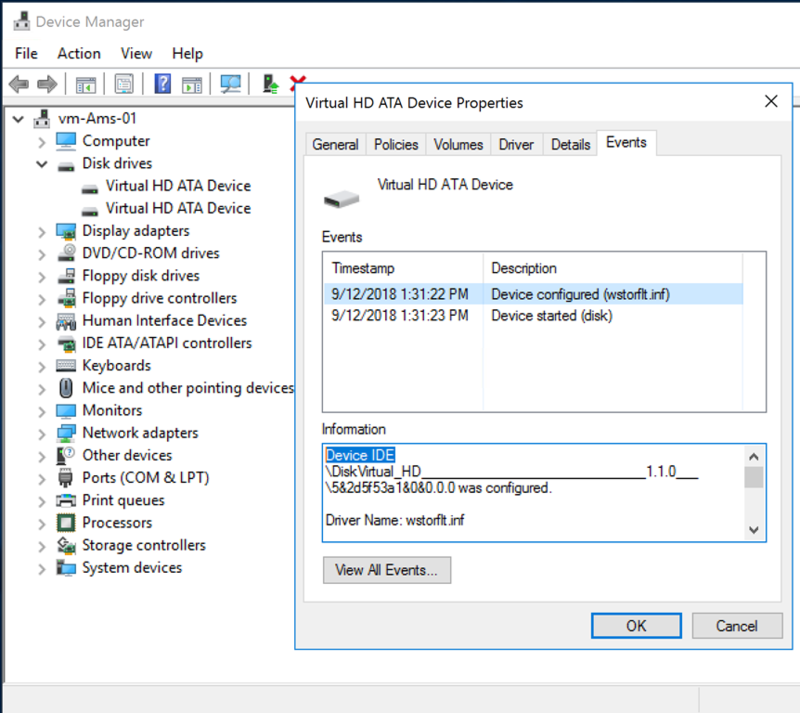 I’ve taken a screenshot from a normal Azure VM including a view of Device Manager from Windows Server 2016 with the OS disk. 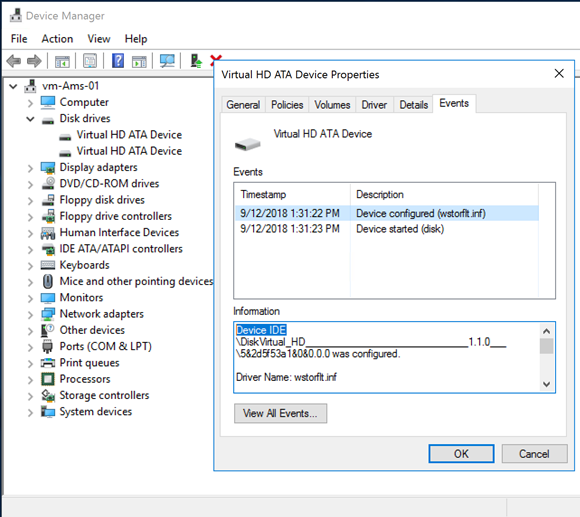 Note that both the OS disk and the Temp Drive are IDE drives on a Virtual HD ATA controller. This is typical a Generation 1 virtual machine. Also note the IDE/ATA controller? 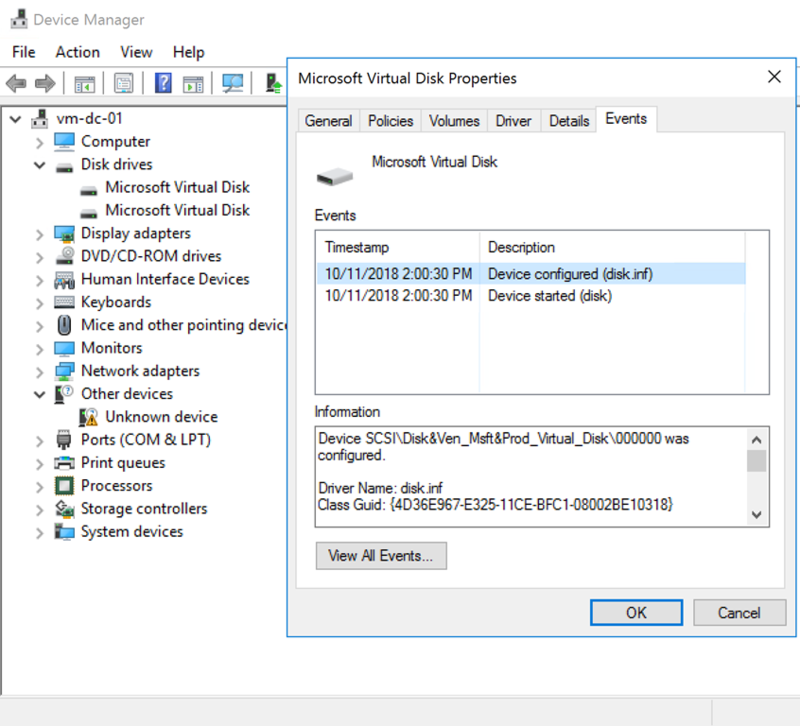 Note how the OS disk and the Temp Drive are listed as Microsoft Virtual Disk on SCSI controllers? Ah – definitely a Generation 2 virtual machine! Also do you see the IDE/ATA controller is missing from the device listing? If you expand System Devices you will find that the list is much smaller. For example, the Hyper-V S3 Cap PCI bus video controller (explained here by Didier Van Hoye) of Generation 1 is gone. If you found this information useful, then imagine what 2 days of training might mean to you. I’m delivering a 2-day course in Frankfurt on December 3-4, teaching newbies and experienced Azure admins about Azure Infrastructure. There’ll be lots of in-depth information, covering the foundations, best practices, troubleshooting, and advanced configurations. You can learn more here.